Ghost in the Machine is reborn! The U.S. band that has fused Rock, Electronica, and Industrial into their own form of "Rocktronica" has now evolved an organic rock sound only GITM could deliver - a perfect blending of electronic hard rock, industrial, and electronic dance music. 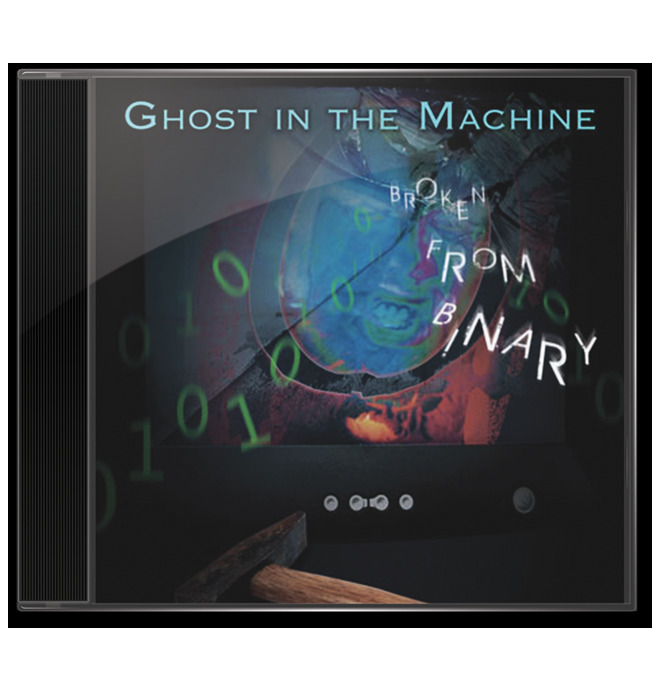 Its latest album,Broken from Binary, is truly the reinvention of Ghost in the Machine. Since its first album, named for the band, was released in 1998, GITM has been a trailblazer in Rocktronica, creating an uncategorizable hybrid of modern rock, metal and hard rock, dance, urban, industrial, techno, and electronica, all in various flavors, melded into a perfect, seamless mix that people love to hear. Many of the songs from the ground-breaking albums that followed (The Haunting Begins, The Repo Session, and The One Within), have weaved their way into 21st Century American culture, heard on TV shows on almost every major cable channel, in feature movies and indie films, on commercials, and in video games, mobile apps, and other modern media. While staying true to its industrial/electronic roots, with aggressive and emotionally charged songs, Ghost in the Machine's Broken from Binary, released in 2015, brings a new, modern, dark and edgy sound with pop appeal. Featuring GITM's cover of Billy Joel's song "Pressure," the voice ofGhost in the Machine takes you on a journey through the dark side. As an unseen ghost, you are witness to what happens inside the machine - love and hate, oppression and enlightenment woven into well-crafted songs with thundering grooves, heavy guitars and lush electronics. Ghost in the Machine's songs always exude an understanding of how music reflects life - both the good and the bad. Music makes us feel invigorated; it motivates and drives us. It also angers and saddens us. It's really another sense by which we experience the world around us. Thus, life and music are intimately intertwined. By casting a wide net and bringing it to bear with utmost focus, GITM's lean, mean compositions have consistently brought a magnifying glass to life's complexities…and done so with keen listener appeal. symbolic of the band's essence: while a computer seemed lifeless at the time and devoid of emotion, the band's music - created in, and coming from, the computer - seemed to bring the computer to life; it is that music that is the ghost in the machine. Its debut EP, the self-titled Ghost in the Machine, was unleashed in 1998 upon an audience of listeners who quickly made it a success. 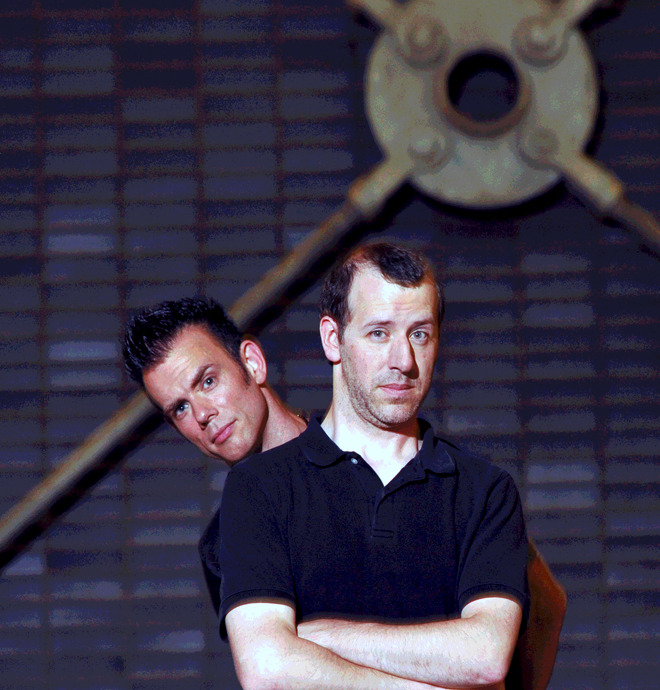 The following year saw the release of the band's full-length effort, The Haunting Begins, which, for the first time pushed GITM into prominence in charts at sites such as the former Mp3.com, former Garageband.com andSoundClick.com. Fellow friend and musician DJ R.J. joined the band in 2002; and in 2005, the trio released The Repo Session followed by The One Within in 2006. In 2008, the original members and DJ R.J. separated due to creative differences. Acclaim for GITM grew and continues to grow. 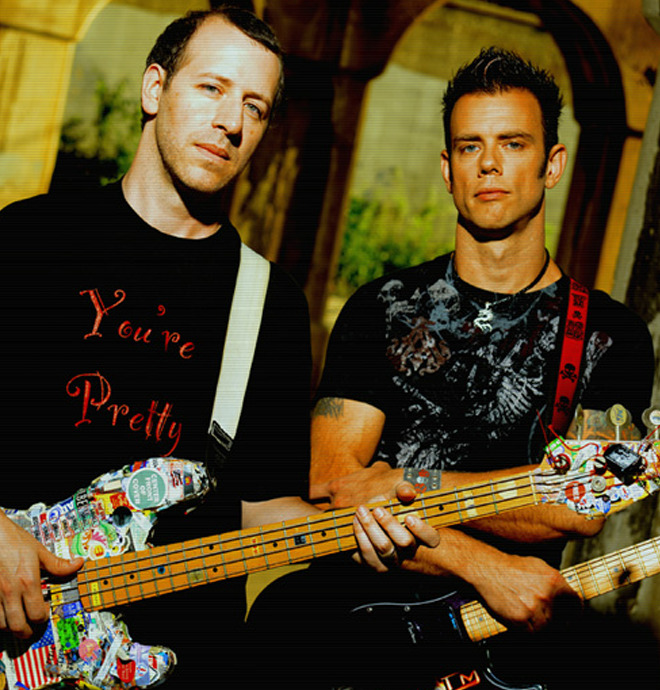 Featuring "Contact," "Invincible," and an industrial rock cover of ZZ Top's "Sharp Dressed Man,"The One Within has, for instance, gone on to win Best Industrial Album at the 2009 JPF Music Awards. GITM songs "Three," "Invincible" and "Embrace" have also placed in international songwriting competitions and many other GITM songs have been nominated, while "Rodeo" and "Second Coming" have been features and chart toppers on sites such as the formerMp3.com, Garageband.com and Broadjam.com. In both 2012 and 2013,GITM was selected as one of Supercuts "Rock the Cut" Ambassador Artists, and "Invincible" and "Three" have been featured on Supercuts radio commercials and in-store programming. GITM songs have been chosen for numerous network TV shows, includingMistresses, Friends with Better Lives, The Mindy Project, Arrow, Miss USA, Raising Hope, Castle, Burn Notice, Fastlane,Greek, and Drive. Its songs have also been licensed for cable TV shows on nearly every major channel, including Spike TV,MTV, VH1, Animal Planet, The Travel Channel, The Learning Channel, A&E,Cartoon Network, National Geographic,Food Network, USA Network, ESPN, The Sci-Fi Channel, WB, History Channel, TLC, HGTV, Discovery Channel,UFC and more. GITM songs can also be heard on feature films, such as The Marine 4: Moving Target, Face for Sale, H2O Extreme, Frakenhood, Ace of Hearts,Souls of Strife, A Night at the Cat, Shred, and Shred II. The songs "King of my World" and "Monster," for instance, can be heard on Shred II and Ace of Hearts. In addition, songs such as "Supergod" and "Redemption" have been chosen for DVD programs by NIKE (Lance Armstrong), MasterCraft, and Best Buy(feature film Serenity) as well as on such other programs as Tokyopop Initial D anime series. Numerous major corporations have licensed GITM songs for commercial use, including Verizon, Motorola, Mountain Dew Tour BMX, Red Bull, Vail Resort, Lockheed Martin, Dentsu America LA, Kingston Technology,EURO RSCG Discovery, Mastercraft, Gatorade Free Flow Tour, and so on. And GITM songs have been featured in numerous kinds of media, including Appy Monkey's mobile app Throw Stuff; video games, such as Wheelman, distributed by Midway; etc.